Pipeline Spills in the United States - 80 Feet Is Enough! 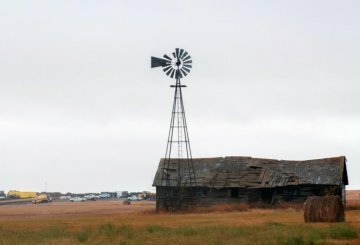 On April 2, 2016 a passerby noticed oil in a ditch in South Dakota. According to TransCanada approximately 16,800 gallons of dilbit (crude oil with diluent that contains benzene) had leaked. TransCanada’s first reported 187 gallons had been found. 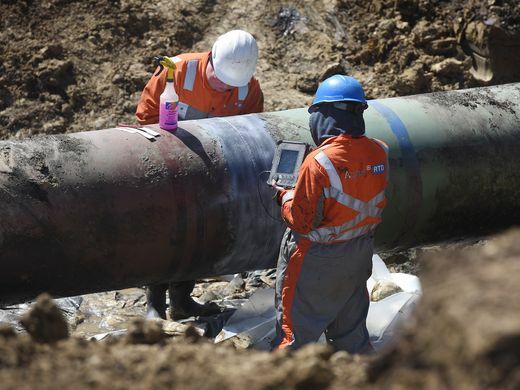 The pipeline was shut down while TransCanada officials investigated to find the source of the leak. The pipeline reopened a week later after digging up more than 275 of the pipeline, pulling away oil soaked soil to find the leak. A farmer discovered a four to six inch spout of oil in his field on September 29, 2013 while harvesting. A pipeline owned by Tesoro Logistics runs under his farm from the Bakken Oil fields, so he knew wht the source was. He reported it immediately, but soon the spill covered 7.4 acres - the size of seven football fields. It took officials 12 days to inform the public. Officials state that the spill did not contaminate the ground water because the soil is lined with forty feet of clay which held the oil. But why wasn't this leak detected by the monitoring systems? As it turns out, this section of pipeline was not required to have those detection systems in place. The 2013 Mayflower oil spill occurred on March 29, 2013, when an Exon Mobile pipeline carrying dilbit (crude oil mixed with diluent that contains benzene) leaked in Mayflower, Arkansas. Approximately 134,000 gallons or 3190 barrels of oil was spilled. Twenty-two homes were evacuated and residents complained of a horrible smell. EPA monitored the air quality but it was levels that cause health concerns, except in the cleanup areas. Exon has agreed to pay $5.07 million dollars in fines that it violated the federal Clean Water Act and State environmental laes in Arkansas. 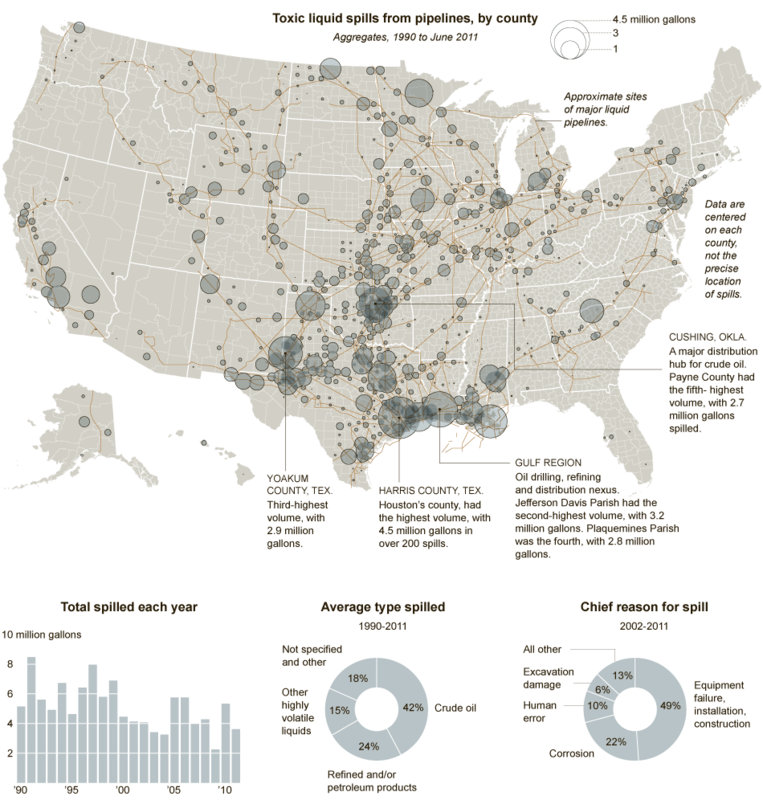 Shown below is an infographic of toxic pipeline spills in the United States from 1990 to 2011. The graphic is courtesy of The New York Times' "Two Decades of Spills" published in 2011 with an accompanying article "Pipeline Spills Put Safeguards Under Scrutiny." Here is an alarming video of pipeline spills in the US.